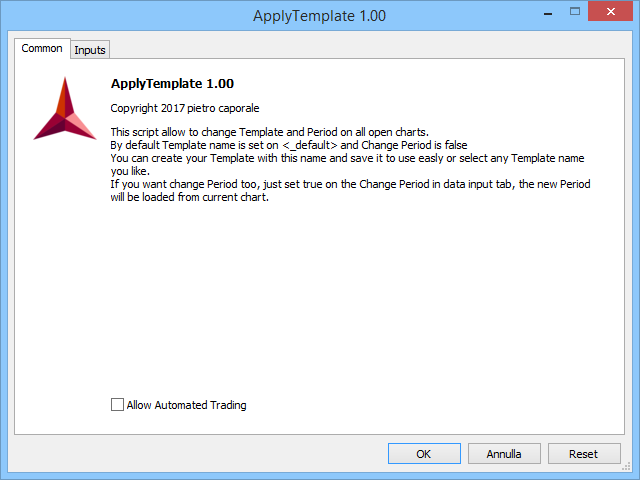 This script allow to change Template and Period on all open charts. 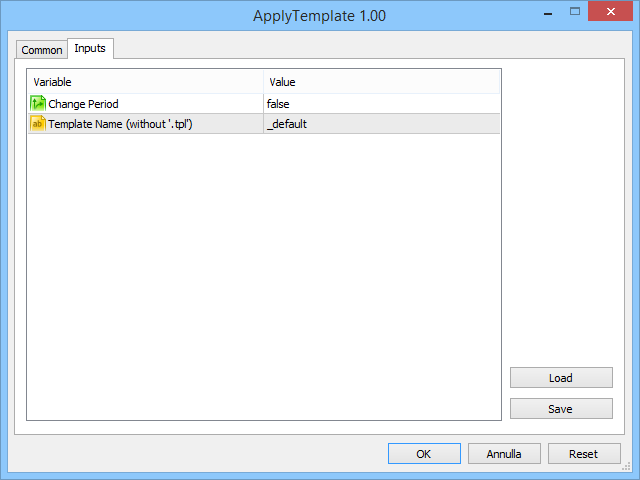 By default Template Name is set to <_default> and Change Period is false. First you can write the Template Name to use. Second you can save your preferred Template as '_default' and just lunch the script. This is easy way. If you want to change the Charts Timeframe too, you have to set Change Period to true. The new Period will be loaded from current chart.